Reverend Guitars began in the Motor City, so it was only a matter of time before they designed a guitar that melded their signature retro-futuristic aesthetic with the motifs of classic Motown muscle. 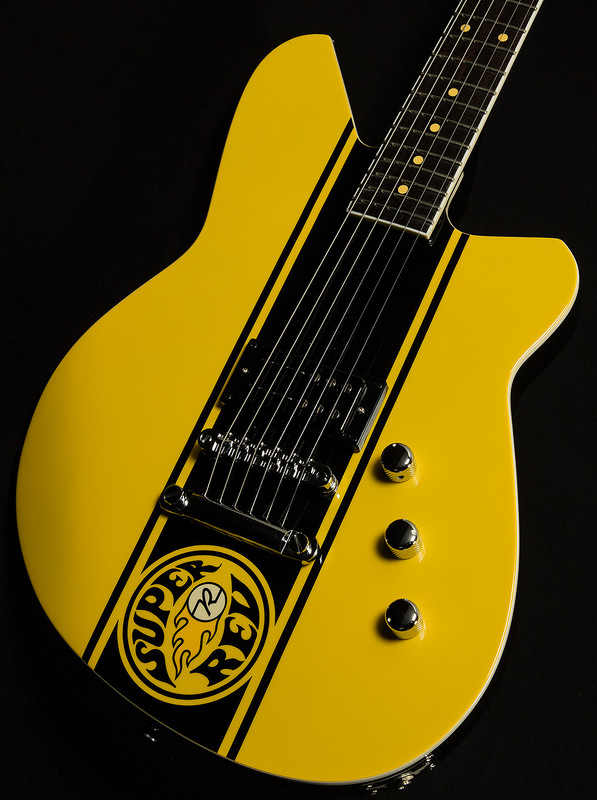 Enter the Super Rev, a supercharged single-pickup axe with styling that begs the player to burn rubber all up and down the neck. Thankfully, it's easy to go way faster than the speed limit while playing this guitar thanks to the comfortable medium low oval neck profile, medium jumbo frets, and 12" radius. The korina body is plenty resonant, and the Railhammer pickup in the bridge position sounds so fat and beefy that you won't miss having a neck pickup at all. Reverend's signature bass contour knob lets you dial in pretty much every sound you'll need to get through a gig, and the pin-lock tuners and Boneite nut make it easy to stay in tune on stage, too. All in all, the Reverend Super Rev is the sonic equivalent of a '69 GTO: a lean, mean, rock and roll machine! They've certainly inspired the Wildwood staff to burn rubber, and we know they'll ignite the need for speed within you, too!